Criminal and civil charges were filed against Microsoft portfolio manager Brian Jorgenson, and his friend Sean Stokke, officials said. According to a Securities and Exchange Commission complaint, Jorgenson and Stokke made a combined $393,125 in illicit profits in their scheme which began in April 2012. Officials said Jorgenson tipped off Stokke ahead of a public announcement that Microsoft intended to invest $300 million in Barnes & Noble's e-reader business. Jorgenson had this information because of his job at Microsoft. After the public announcement on April 30, 2012, Barnes & Noble's stock price jumped 51 percent that day, giving the pair gains of $185,000. In a second instance, the two men colluded to buy options in Microsoft ahead of the company's earnings announcement in July 2013, an SEC statement said. 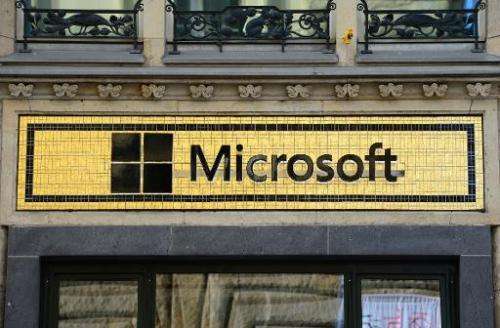 As part of his duties at Microsoft, Jorgenson prepared a written analysis of how the market would react to the negative news that Microsoft's earnings were more than 11 percent below consensus estimates, said authorities. He estimated that Microsoft's stock price would decline by at least six percent and gave this to Stokke, who purchased options which allow a trader to make a profit from a drop in share value. This provided more than $195,000 in illicit profits, the SEC said. The two men had previously worked together at an asset management company. "For every stock market winner, there is a loser, and trading on confidential inside information is a cheater's way of gaining at the expense of others," said US Attorney Jenny Durkan in Seattle, Washington. "This conduct hurts companies, hurts individuals and shakes faith in our financial markets. We will vigorously investigate and prosecute this type of conduct." Insider trading carries a penalty of up to 20 years in prison and a fine of up to $5 million, officials said.